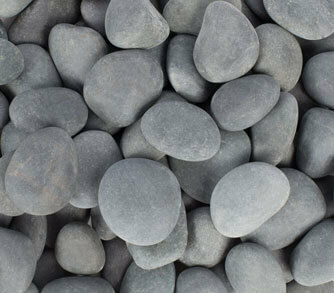 Curious about using pebbles and stones in the yard, but not sure where to begin? Besides adding a touch of creative edge, pebbles, stones and rocks actually offer some excellent benefits.They require minimal maintenance and are extremely durable. Made from inorganic matter, stones won’t attract insects or decompose like mulch or wood chips. It’s easy to incorporate them into your landscape since they come in a multitude of colors, shapes and textures, making it fun to revamp walkways, driveways, gardens and more with endless designs. Use smooth pebbles and stones as a clever means to disguise grates or drains anywhere around a paved area like a swimming pool. Your outdoor living area will get a welcome makeover with a layer of stones covering a spillover or strip drain and you won’t have to worry about the stones blocking drainage. Sometimes the uneven, root base of a tree can look soily and unkempt in a well-manicured yard. 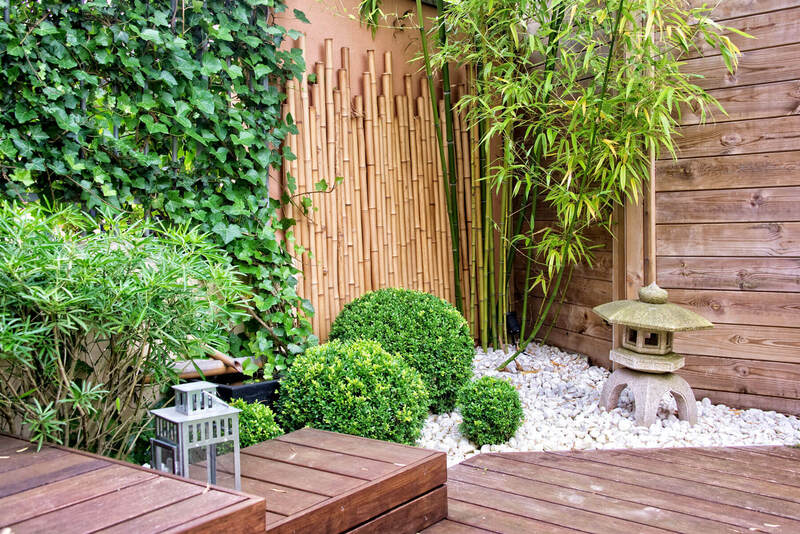 A layer of colored pebbles can help even out the earth surrounding the trunk’s base for a smooth, uniform look that coordinates with the rest of your garden.Use them with potted plants to color coordinate with the pottery or layer them over a flower bed for distinction. Who said you only need to use one texture or color? Let your inner landscape artist fly free when using stones, mixing and matching various colors and shapes for a custom design. Create a path using flat, smooth rectangular stones for stepping. Surround the stepping stones with small, round rocks- like an island in a sea of mini pebbles- for a unique contrast that is more visually appealing than the messy soil or stray grass that usually surrounds paved stones. You may not find lush foliage and flowers in a zen rock garden, but you will find mesmerizing rock and stone designs! Originating from Japan, zen rock gardens have deep roots in Japanese culture and Zen Buddhism, displayed at temples in Kyoto during the Muromachi period to imitate nature and aid in meditation. Here’s how to make your own. Margo Garden Products can help you create your stone garden oasis, with a diverse pebble collection of all sizes, hand-picked from pristine beaches all over the world.